I saw the following knot in one of my friend's racket. It looks like a standard starting knot that contains three loops (instead of two).Is it necessary to tie such a bulky knot? For starting knots, I believe Irvin's iknot is sufficient enough. LOL , hope you didn't pay for that. You do realize it is just a knot. I assume it is holding tension and not coming undone. While it is not a knot I would tie, it still works so it does it's job. I'm sure it doesn't effect your hitting. Although I do not use a starting knot, I have seen bulkier starting knots from other stringers over time. There are worse things a stringer can do. I have seen a stringer double pull all mains and crosses , seen all mains strung on one side before going to opposite side, outside crossovers etc. This is just a knot. Overkill and not aesthetically pleasing IMO. It’s not what I would do. But it’s not gonna hurt anything and it got the job done. The bard would have said "To Be, or Knot To Be!" "'Tis Much Ado About Nothing!" 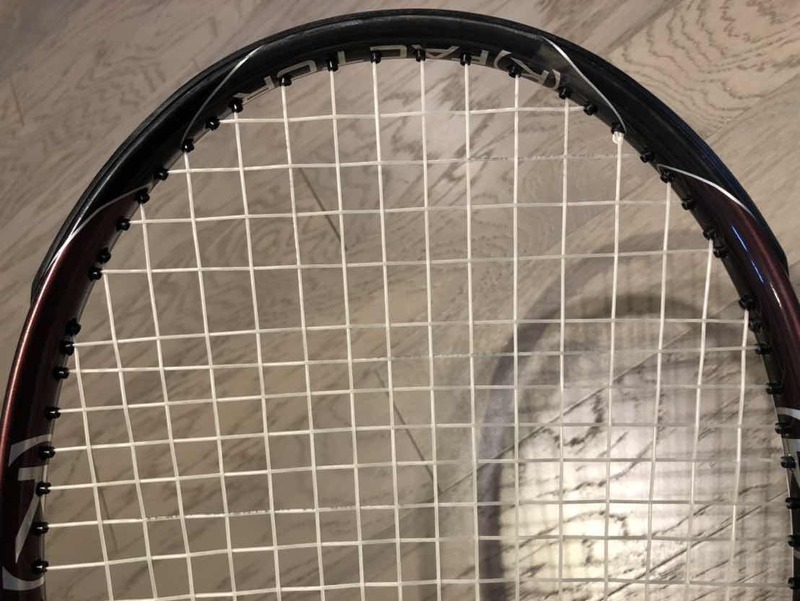 I would rather have a knot like that one on my racquet than have a stringer cinch up the knot tail with tension head like I have seen before.That can stress out the string, and I have seen stringers do that a number of times. That knot is knot a big deal. @esgee48 did you perhaps intend "'Tis Much Ado About Knotting!" ? 'I see Knotting, hear Knotting and know Knotting!' says Schultz! like you said, interesting,, and functional..